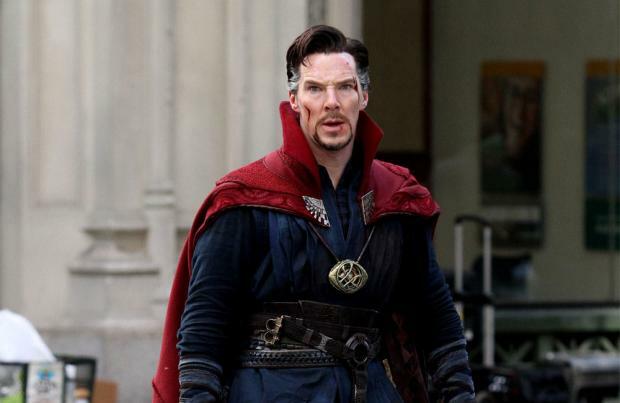 Benedict Cumberbatch will receive £7.5 million for 'Doctor Strange 2'. The 42-year-old actor will reportedly see his pay increased by £5 million more than he received for the original Marvel CInematic Universe movie in 2016 for the upcoming sequel, which is set to start filming next spring and is expected to take up to six months to complete. And his commitment to the franchise means his work on popular drama series 'Sherlock' - in which he plays titular detective Sherlock Holmes - could be delayed indefinitely. A source told the Sunday Mirror newspaper: "Benedict has become a huge player in the Marvel universe. "But the nature of the shoot for the sequel means we're looking at 2020 for the next time we see the sleuth in a full series - if it happens at all." The British actor has already made £4.2 million for playing Doctor Strange in the first standalone movie, 'Thor: Ragnarok' and two 'Avengers' films. And Benedict could be set to bring in more if he finally gets his wish and sees his alter ego land his own range of merchandise like so many of his Marvel co-stars. He previously joked: "This is a point of contention. "Tom Hiddleston, he comes back from doing Thor and he's like, 'Look, dude!' And he's got a Thor lunchbox, a Thor slurpy cup and Thor backpacks. "And there's Spider-Man backpacks and Hulk backpacks too. "Kids need to realise the potential value of having a Doctor Strange backpack."